Real fans know they need sports tickets to support their team and ScoreBig is here to make it easier for fans of every league. You can now find premium seats to the games you want to see at ScoreBig. Michael Jordan once said, “Just play. Have fun. Enjoy the game.” If you intend to take up MJ on his word then get your favorite sports tickets now. It is advised that you get them as early as possible, since getting tickets in advance more often than not gets you a good deal. It is true that baseball is still “America’s Pastime,” however football became the biggest sport in the country ages ago. As the sport become more popular each year, naturally the demand for football game tickets grew too. The NFL season however remains of 16 weeks, making the most sought-after tickets hard to get. Football tickets especially of famous and traditional rivalries such as New England Patriots vs. New York Jets, Pittsburgh Steelers vs. Baltimore Ravens, New York Giants vs. Philadelphia Eagles and Dallas Cowboys vs. Washington Redskins are hard to get. However, at ScoreBig, we have you covered. Simply browse through our large collection of tickets and get the tickets to watch your favorite team. And if you’ve been meaning to catch this game of winners this season, then get your tickets early. Football fans can enjoy live action with some of the best deals in the league on NFL Preseason tickets, NFL Regular Season tickets, and NFL Playoff tickets. Don't miss a second of live football action with great savings on football tickets league wide. Check the NFL schedule to see when and where the biggest matchups of the year are so you can get your tickets now! Whether you go to Penn State, Memphis, Louisville, Texas A&M, or Oklahoma State or you’re interested in college football in general, now is the time to get your tickets. In addition to regular season games, if you are looking for Orange, Rose, Cotton and Sugar Bowl tickets, you may find them here too. What’s better than watching a great game of football in-person? Watching it with your best buddies. Don't worry basketball fans, we got you covered too. NBA fans can catch every moment of their team's championship hunt with great prices on NBA Preseason tickets, NBA Regular Season tickets, and the all exciting NBA Playoff tickets. The packed NBA schedule will get all basketball fans excited for a long season of fouls, dunks and 3-point shots! LeBron James, Kevin Durant, Stephen Curry, Chris Paul and Russell Westbrook are Sports Illustrated’s Top NBA Players. Watch them in-person as the best in the NBA re-write basketball history. In addition, do not miss out on Celtics-Lakers, Bulls-Knicks, Celtics-Sixers, Heat-Knicks and Bulls-Pistons rivalries this season. These teams have kept you glued to TV all these years, now watch them in-person. If you are thinking of taking a rain check on regular season games for NBA Playoffs and Finals tickets, then hurry and get your deals early. Last minute ticket shopping may leave you disappointed. Football may have surpassed baseball in terms of viewers, but “America’s Pastime,” still has what football lacks – heart of the American people. Fans’ temper may soar with rising mercury, but ask a fan and they’d tell you that there is nothing like the thrill of Opening Day. 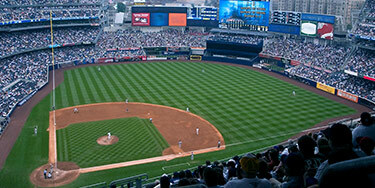 Like other sports, Major League Baseball, too, is known for its fierce rivalries, resulting in nail biting games. Who after all has not heard of Dodgers-Giants, Yankees-Red Sox, Cardinals-Cubs, White Sox-Cubs and Cubs-Brewers rivalries? If you want to see the latest of these rivalries this season, then get your tickets here. 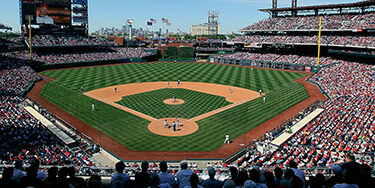 Only on ScoreBig, you can Make an Offer to save on baseball tickets. With MLB Preseason tickets, MLB Tickets, and MLB Playoff tickets all for sale, we are your one-stop shop for the best deals on your live baseball tickets. The MLB schedule might start in the spring but you can catch games through the World Series at the end of the year! ScoreBig also has insider deals on NHL tickets. Want to see the next upcoming stars of the NHL? Get NHL preseason tickets. Then, get ready to save on marquee matchups all season long. Want to witness to chase for the cup begins, Score has premium NHL playoff tickets with no fees and free shipping. The length of the NHL schedule might have fans thinking they have plenty of time to see games, but the season will be over before you know it. Get your tickets today! To watch Ducks vs. Kings, Blackhawks vs. Blues, Kings vs. Sharks, Canadiens vs. Maple Leafs and Oilers vs. Flames rivalries, get your NHL tickets now. The Stanley Cup is far away and till then you can catch plenty of exciting games between your favorite team and its biggest rivals. However, if you are looking for Stanley Cup tickets only, you may find a bargain here. Not into the big four? ScoreBig can also help you save on MLS tickets, NCAA Basketball tickets, NCAA Football tickets, and WNBA tickets. 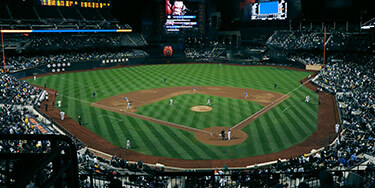 No matter what sport you are into, ScoreBig should be your first stop on your way to the ballpark, stadium or arena. If you are a true sports fan, then there is no reason not to watch your favorite game in-person this season. Irrespective of the sport, ScoreBig has you covered. A rule of thumb however remains to find your deals early. The earlier you get your tickets, the better your chance are of finding the best online bargain. For discounted sports tickets get your sports tickets now and watch your favorite players make big plays up close and personal. Watching sports encounters live is an experience that television simply cannot match.